Black silicon carbide is harder than aluminum oxide, and is generally used for the abrasive wheel, slurry, refractory and ceramic industries. Silicon Carbide is special in the way it breaks down. As it breaks down into smaller particles, the media will expose new, sharp edges. Therefore, black silicon carbide can be best used over and over, such as in a rock tumbler. Simply keep adding new coarser grit, and as the media breaks down, it will create a "working blend" of various sized particles. This allows for effective surface cleaning/polishing. Silicon Carbide has a lower hardness and abrasive capacity than industrial diamond and boron carbide. Yet because of its much lower cost when compared with diamond or B4C, it is widely used for grinding nonferrous materials, finishing tough and hard materials, as well as filling up ceramic parts. 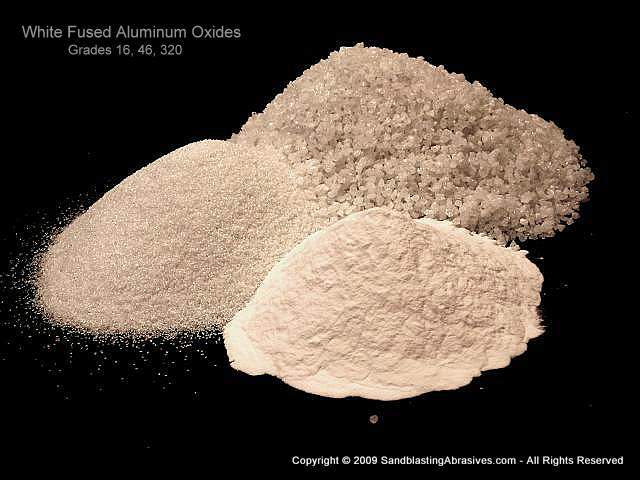 It is therefore perfect for sandblasting, vitrified and resinoid grinding wheels, lapping, compounds, non-slip (anti-skid), wiresawing silicon & quartz, polishing, lapping, and tumbling. Please use our Quote Request Form for Wholesale Price Inquiries. Thermal Conductivity: High (100 W/m-K) approximately. High strength at elevated temperatures (at 1000°C, SiC is 7.5 times stronger than Al2O3). Black Silicon Carbide contains some free silicon (Si) and carbon (C) and is not as pure as Green SiC. Gradation: Coarse grades meet both ANSI & FEPA; 220 and Finer grades are FEPA Graded, "P" shaped particles are also available. The entire ANSI and FEPA gradations are available. "P" shaped media cannot be ordered online, you will need to call or email us for pricing. Grain Shape: Blocky, sharp edged OR we can also sell you "P" material, which is angular, with sharp edges. "P" shaped media cannot be ordered online, you will need to call or email us for pricing. Macro Grit Sizes: 8 grit - 240 grit (ANSI); P12 - P220 (FEPA). JIS Sizes upon request are available in finer sizes only. Split Sizes: 16/36 (anti skid broadcasting blend), 30/60 (often used in making saw blades), 46/70 (rock tumbling), 54/70 (rock tumbling), 60/90 (rock tumbling), 100/120, 120/220 (rock tumbling), 150/220 (rock tumbling), 180/240, 500/600 (rock tumbling). Split sizes include all grits in the middle as well. For example, a 120/220 means that it includes 120, 150, 180, and 220 sizes in the blend. Minimum order for black silicon carbide is a 25lb box. Wholesale packaging = 300lb drums but can also be packaged in 50 lb paper bags. Minimum order for black silicon carbide is a 25lb box. 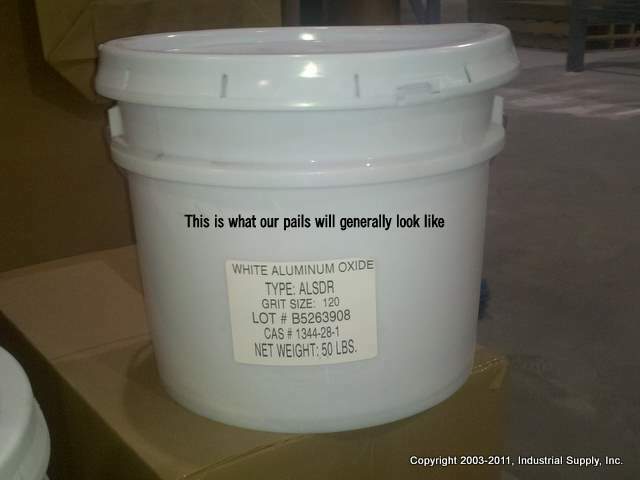 Wholesale packaging = 300lb drums, or 2000 lb supersacks, or 50 lb bags. Contact us for wholesale pricing on drum orders.